AAAAAAAAAAH!!!!! It's here! It's actually here!!! The day I've been waiting for and dreaming about is here!! 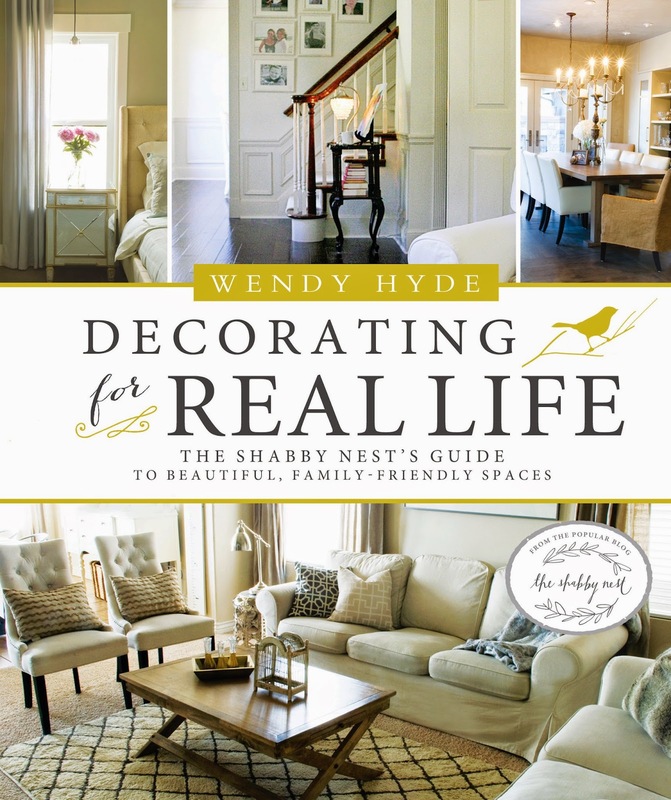 My book, Decorating For Real Life, is officially available! I can't believe my book is now a reality and I 'm so excited to share it with you! 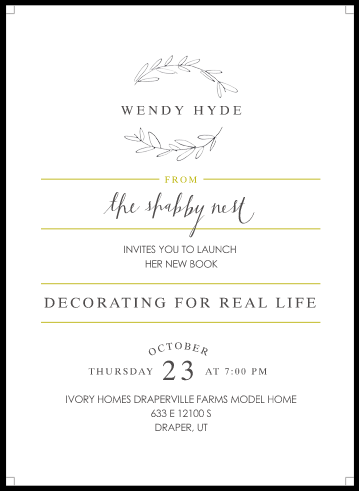 To celebrate the official release of Decorating For Real Life, I'm throwing a party! A book launch party to be exact. And if you're a Utah local, I'm extending an invitation to you! My good friend, Aly of Entirely Eventful, has been helping me plan this epic event and it's going to be amazing! The party will be held at one of the beautiful Ivory Homes model homes, and there will be music and goodies and great company. And for the first 50 people to arrive, there will be some AWESOME gift bags! I'll be signing copies of my book...of course! And if you don't have a copy, I'll even have some available at the party. If you're local, and would like to attend, please RSVP on the Decorating For Real Life events page on Eventbrite. And don't forget! You can buy your own copy of Decorating For Real Life here!